Big News from my friend Rachel who bounded into choir rehearsal with a huge smile on her face and a huge diamond on her finger. Graham had proposed. Excitement. Squealing. “I called home to tell them the Big News, but my Mom was shopping at Macy’s, so I said, Dad, I have something to tell you; Graham proposed and we’re getting married! And he was such a Dad about it. He said; “That’s wonderful! When?” like he expected the answer to be “Week Wednesday” or something like that. The ring is an heirloom. Vintage in the real sense of the word. From Grandma Isabella, who clearly had exceptionally good taste in deco-style solitaires. Presented at a picnic. It was one of those lovely pieces of news where all the details, all the bits of the story just fell perfectly into place. Lots of Pinterest boards to mull over and dress / flowers / music / venues related chat to be had. Cake and tea. General Goodness and Happiness all round. 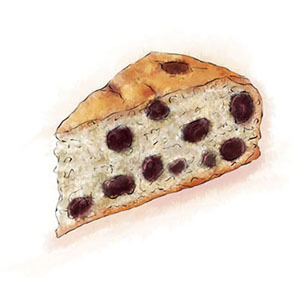 My friend Hilary recently made an olive oil cake and poured over a blueberry compote flavored with crushed coriander seed. It sounds odd, but chemically speaking, I’m told that the coriander echoes one of the flavors in the blueberry, so it really makes sense taste-wise. 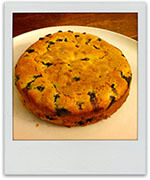 I made two batches of these cakes, one with and one without the coriander. On balance, I marginally preferred the plain version, Jon preferred the spiced version. I’ll leave that thought with you. 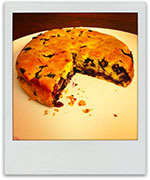 This entry was posted in The Monday Treat and tagged baking, blueberry, cake, eggs, lemon, olive oil, summer, vegetarian. Bookmark the permalink.